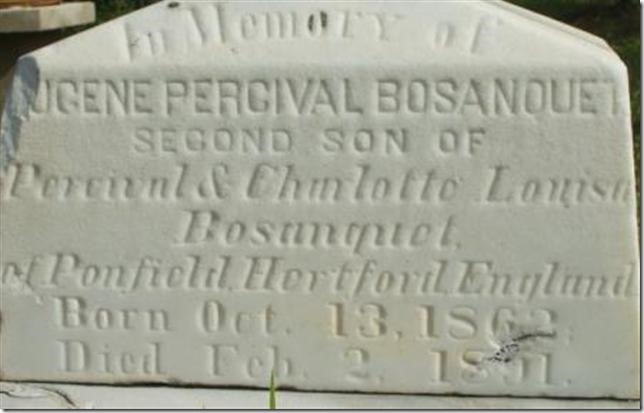 « “Hello” From the U.K.
Eugene Percival Bosanquet, the brother of Augustus, one of the earliest Englishman to settle and build in Chetwynd, went to work at the Alcaxa Hotel in Daytona, Florida, where he was tragically struck by a rattlesnake while hunting near there with his friend, Mr. Evelyn Walker, February 2, 1892. Eugene was buried at the Pinewood Cemetery in Dayton Beach.The account of his death is noted in The Chetwynd Chronicles. But alas! Not all of the details. 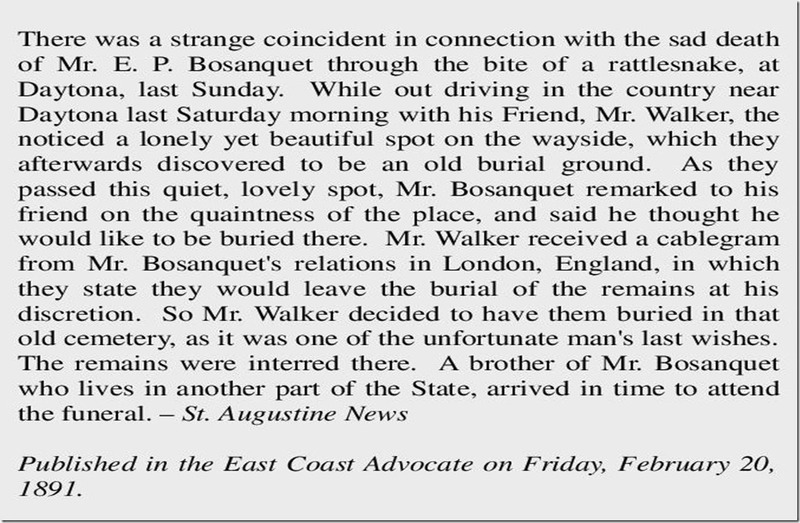 While attending a portion of the first annual Bosanquet Reunion at Ormond Beach this past weekend Bob Gilchrist shared an article he’d found that had recently been posted online to Find a Grave. Members of the Bosanquet family visited the gravesite of Eugene Bosanquet last Friday.